New multi-party cloud network platforms are helping disrupt the fine and casual dining industry. The fine and casual dining industry is under tremendous pressures, as restaurant visits and spending are down, and consumers continue to grapple with rising costs and stagnant wages. More importantly, restaurant patrons continue to demand fresh ingredients, plentiful choices, and world-class service at affordable prices. Meanwhile, food safety and sustainability concerns require full traceability of source of supply on an ongoing basis. Simultaneously, businesses have evolved to depend on local distributors supplemented by national distributors and logistics providers. This has led restaurants to lose control of their supply chains because of the increase complexity associated with the growing number of stakeholders that must be coordinated to deliver meals to the consumer on-time. Near perfect fill rates while slashing costs of goods sold (COGS) by 10 percent or more. Radical inventory reductions across the entire network including as much as 50 percent at the restaurant level. Available shelf life increased by 50 percent and waste reduced by as much as 75 percent. Reduce time to profitability for new units to 3 months or less. What savvy restaurant operators now understand is old technology platforms can only bring incremental improvements in performance; whereas, network platforms have already delivered game changing results in several industries. Take Uber as a proven disruptor in an industry. Uber is a platform that takes demand from consumers world-wide for the needs of personal transportation and matches it in real time to a global capacity of drivers. The service is offered at a fraction of the cost of a traditional taxi cab and at a much higher service level. The car is provided on demand with a very short lead-time to pick up the customer are often better maintained and are more luxurious than traditional cabs. This higher service level is delivered at a much lower and affordable cost and as such the model has revolutionized the taxi industry. Applying the same principles to the restaurant logistics network, the underlying technology approach provides a real-time match of consumer demand to supply. It also offers an execution system that supplies the product or service to the consumer at a much higher service level and a much lower cost. Taking it one step further, the same technology platform can onboard all trading partners and fulfillment partners and can coordinate all their planning and execution activities around the consumer demand in real-time. The fine and casual dining industry is headed for revolutionary change, as more restaurants are opting to move beyond legacy ERP technology augmented by spreadsheets in favor of a multi-party cloud network service. Among other capabilities, the single network service can replace numerous ordering systems. Like the Uber model, all parties are represented on this consumer-driven demand supply match solution. This includes corporate and franchise restaurants, store delivery providers, distributors, raw material suppliers, logistics partners, and commodities brokers. All of these entities work on a common consumer demand forecast, which aligns all available supply to demand in real-time while optimizing operational costs. Cloud networks are also revolutionizing traditional supply chain approaches by providing a real-time consumer driven pull signal to all parties in the value chain. This is made possible by monitoring consumer demand throughout the day, forecasting projected demand profiles for menu items, and translating to required raw materials over the multi-tier delivery network from consumer to raw material manufacturers. In doing so, one of the world’s largest casual dining companies achieved more than 40 percent improvement in predicting item-level consumer demand and converting that to required supply and operational support. And this is only the beginning for the industry’s first multi-party, multi-echelon operational network, as they are currently in the early stages of piloting a consumer driven store ordering and replenishment process as well. By treating distributors as flow-through, companies can reduce over-all and raw material inventory. They can also improve their forecast, and logistics operations and see COGS reduced by 10 percent or more from the industry norm which is 75- 85 percent of revenue. With a real-time network, inventory is reduced by at least 50 percent to four-six days as opposed to the industry norm which is approximately eight – twelve days of inventory at restaurants. Reduction in information and overall supply lead times. Restaurant’s order cycle times can be reduced by 90 percent. Inventory across the entire supply network can also be slashed by 15 – 30 percent. Turns are increased and freshness is improved by adding 4 days to a restaurant’s available shelf life. Reduced transportation costs due to shared redistribution models. This is driven by accurate orders and order forecast and by intelligently building efficient shipment loads driven by consumer demand. Support for all channels including franchises, home deliveries, and online sales, opens up opportunities for differentiated business models and new revenues that drive increased customer engagement through mobile and omni-channel offerings. Instant access. As with social network technology, any new member (such as a new store or new supplier) can instantly start interacting with the entire network. This radically reduces new store opening times, new supplier on-boarding, limited time offer mobilization, and new brand introduction times. Process automation via the network enables consistent and optimized operations driving time to profitability down to 3 months or less. In a traditional approach, enterprise silos prevent any one party from having a full picture of demand, supply, and execution status to serve the customer. There are too many systems, which results in redundant, conflicting, and incomplete information that must be reconciled and integrated before doing anything useful. It is too slow to go from gathering the data inputs required for planning to making execution decisions. Information systems cannot support the speed of business anymore, and rigid, one-size-fits-none COTS systems require customizations that kill agility and total cost of ownership (TCO). Historically system implementations required a big bang approach to deploy enterprise only capabilities. This approach proved to be enormously expensive, took too long and was too risky and costs companies significant dollars to support. More importantly, the inability to change these systems as business needs change is killing the agility of the restaurant businesses. Multi-party networks on the other hand are typically deployed within months rather than years and are deployed with to all of your trading partners. This not only drives value, but also greatly reduces the complexity of the system since most activities in the restaurant supply chain are actually managed by the trading partners themselves. Unlike monolithic ERP systems, a network is modular; allowing step-by-step short projects similar to sprints in an Agile Development Methodology that are rapid, self-funding, and low risk support allows for automated upgrades which provides new capabilities on a frequent basis. New paradigms that leverage innovative technologies are overcoming fundamental flaws in current approaches and are offering the opportunity for disruption in the Fine and Casual Dining industry. Visionary companies are already transforming to consumer-driven digital networks and achieving breakthrough results. The choice is clear; the industry is changing so it’s time to disrupt or risk being disrupted. 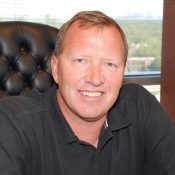 Greg Brady is CEO and Founder of One Network Enterprises, the global provider of a secure, and scalable multi-party business network.